In a ruling that could change the way that car makers advertise fuel economy figures, the Advertising Standards Authority (ASA) has said that Audi (and Volkswagen Group UK) must make it clear that official fuel consumption figures may not be obtainable in real life. The ad, which ran on Audi's website with the heading "Audi A3 TDI - the most fuel efficient Audi ever" stated "The A3 16 TDI is the most fuel-efficient Audi ever returning a quite remarkable 68.9mpg on a combined cycle". A complaint was brought by an A3 owner who challenged whether 68.9mpg was obtainable. The owner also said that it was misleading as it could not be substantiated and because they had not been able to achieve the figures that were being advertised on Audi's website. 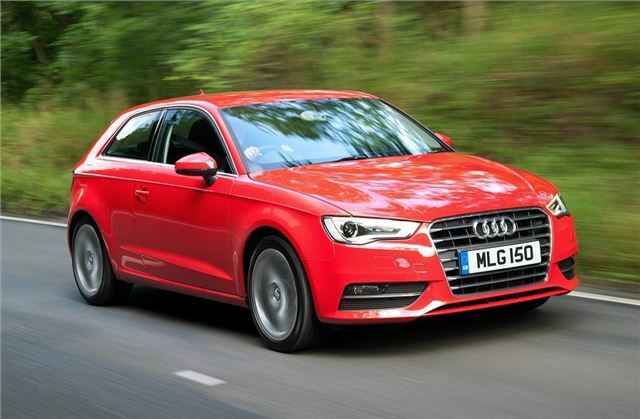 According to figures submitted to Real MPG, the A3 1.6-litre TDI is currently averaging 47.5mpg. In its response, Volkswagen Group UK Ltd (VW) said the fuel consumption figure quoted was obtained from the manufacturer's tests carried out in accordance with Directive 93/116/EC as amended by Regulation (EC) 692/2008. VW explained that the complaint that a customer had been unable to achieve a quoted fuel consumption figure in real-life driving was occasionally encountered by motor vehicle manufacturers and distributors. Fuel consumption figures did not give an accurate representation of the actual fuel consumption which could be expected from any particular vehicle and were provided only to enable comparisons between different vehicles or models. They pointed out that the VCA (the designated UK Vehicle Type Approval authority) themselves made clear that new car fuel consumption and CO2 emissions official figures were not fully representative of real life driving conditions because of the need to maintain strict comparability of results achieved by the standard tests that were carried out. There were also infinite variations in driving styles and in road, car and weather conditions, all of which could have a bearing on the results achieved. For these reasons the consumption achieved on the road would not necessarily accord with the official test results. They believed that the basis of the VCA guidance was well known by consumers and said the use of such figures in this context and in motor vehicle advertising generally, without explanation as to the way such figures were produced or whether they were representative of real-life driving, was completely standard across the industry. The ASA upheld the complaint. In its ruling, the ASA noted that: "As VW had explained, the means by which fuel efficiency figures for vehicles should be calculated was set out in European legislation. In practice this was a set of test drive cycles conducted under controlled conditions that produced figures that showed the vehicle's efficiency in urban and extra-urban (faster moving) scenarios. These two figures were then averaged to give a third figure, known as the combined figure, and it was that figure which was given in the website claim. We understood the website had given the correct figure for the model advertised. "We understood that such figures, by their nature, had to be generated under test conditions so that consumers could compare them on a like-for-like basis. However, we considered that it was unlikely to be clear to the average consumer that the figure quoted was based on a standardised test and was not necessarily representative of what they would achieve when driving the car themselves. For that reason we considered that VW should have qualified the figure to make clear to readers that it was based on an EU test for comparative purposes and may not reflect real driving results. Because they had not done so we concluded that the claim breached the Code." Volkswagen has been told to ensure that they qualify official fuel consumption figures to make clear that they were official EU test figures to be used as a guide for comparative purposes and may not reflect real driving results. Hardly any car being sold achieves these figures. At best they are a comparison between different models.